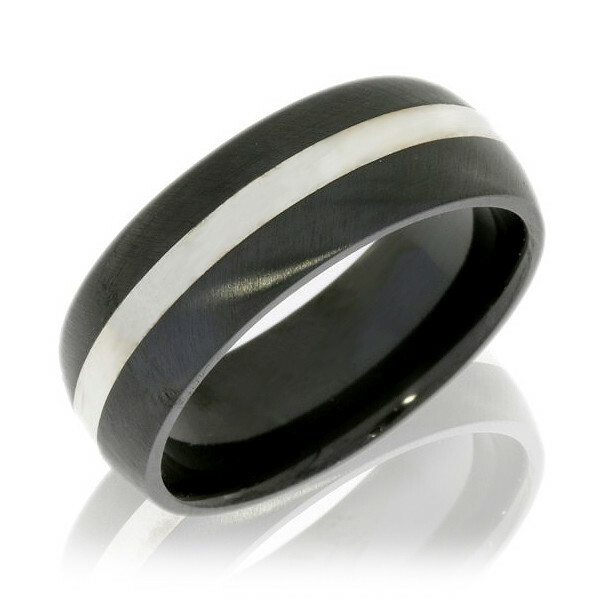 This men's wedding band from Lashbrook has a well-balanced design. Crafted in versatile zirconium, the 8mm features a 2mm sterling silver inlay at its center. The jewelry has a satin finish that is easy on the eyes. This Lashbrook gent's ring in a prized performance metal is ready for its first act: your wedding ceremony!